Until Sunday 21 April, please send this form with your cheque, made payable to Cookham Festival, and a stamped, addressed envelope to Ros Hazeldine, 130 Beverley Gardens, Maidenhead SL6 6ST. From Monday 22 April until the end of the Festival, please complete this form and pay for your tickets by cash or cheque (sorry, no credit cards) at The Stationery Depot, Station Parade, Cookham SL6 9BR. For general ticket enquiries, call Ros on 01628 782933. What is the Cookham Festival? It’s Festival Time and once again Cookham is laying out its store of talent to engage and entertain. Our very first Cookham Festival was held in 1967 and over the years the scope and attendance has grown such that our Festival is now the largest community activity in the Cookhams as well as being one of the major arts events in the area. We attract more than 15,000 people over the duration of the Festival and we have a policy of making the ticket prices exceptional value and curating a range of events for all ages: from bumps and babies to our community's oldest residents and all in between. This year is no exception. Music, as ever, features prominently with everything from folk and the Big Band sound, through pop and rock – the latter at the now annual Let’s Rock the Moor - to brilliant brass and classical choral pieces. And our young primary school performers will be on stage to delight us too, this year with a World Premiere – Katie Cox and the Rhythm of the River, written by local musician and composer Rob Castell. And if that’s not enough we will be hosting a full orchestral Family Concert featuring Peter and the Wolf. The visual arts will also play a prominent role with the Sculpture Garden now a major national attraction. The Cookham Arts Club has challenged its members to Square up to Cookham and capture a moment in time on a 30x30 cm canvas. 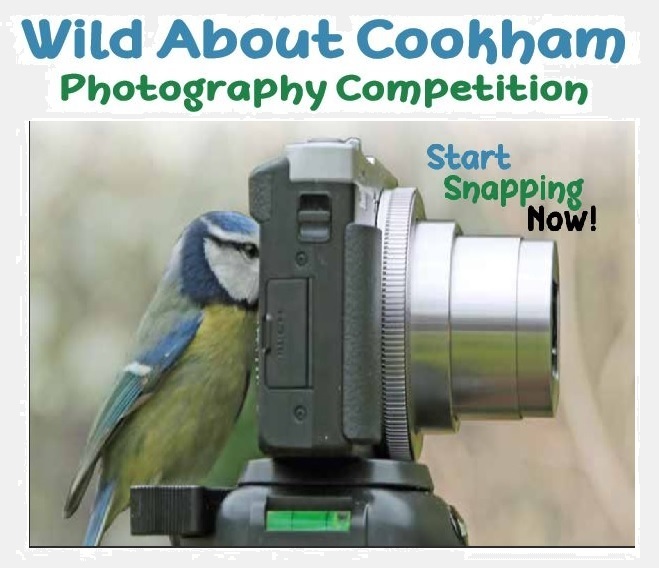 You can also accompany Timmy Mallett as he makes his epic painting pilgrimage by bike from Cookham to Santiago de Compostella and the Festival will also be hosting an exhibition of photos collected as part of the Wild about Cookham Photography Competition. Art professionals will provide expert guidance and tuition to all ages over the first weekend in the Arts Hub and James Ferguson will be exhibiting a selection of his fabulous cartoons. We’re delighted that Richard James is returning for a one man show ‘The Seven Ages of Shakespeare’ and will also be reading excerpts from David Walliams’ Gangsta Granny to our younger audience. We will also be telling the remarkable story of Holy Trinity Church’s own Anchoress, holed up in a cell to pray for the sins of Henry II. Plus, you can learn to dance and attend numerous talks, poetry and the riotously funny Cookham Comedy Club. The Festival happens because of the time and energy of many people in our community. In particular the Festival Committee and an army of Festival Makers who curate the events and make it possible. Our thanks to them – and of course to you – without which there would be no Festival. Thank you. As you read this page and look at the number and variety of events that make up The Cookham Festival you will realise the amount of organisation that goes on behind the scenes. Crucial to this work are our volunteers, the Festival Makers, who do the work of helping set up venues, collecting tickets, stewarding, supervising exhibitions and manning the bars.